Free on 23/24th of June? 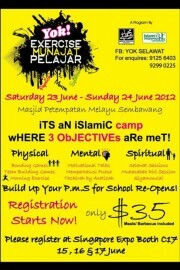 Sign up for our motivational camp held at Masjid Petempatan Melayu Sembawang. 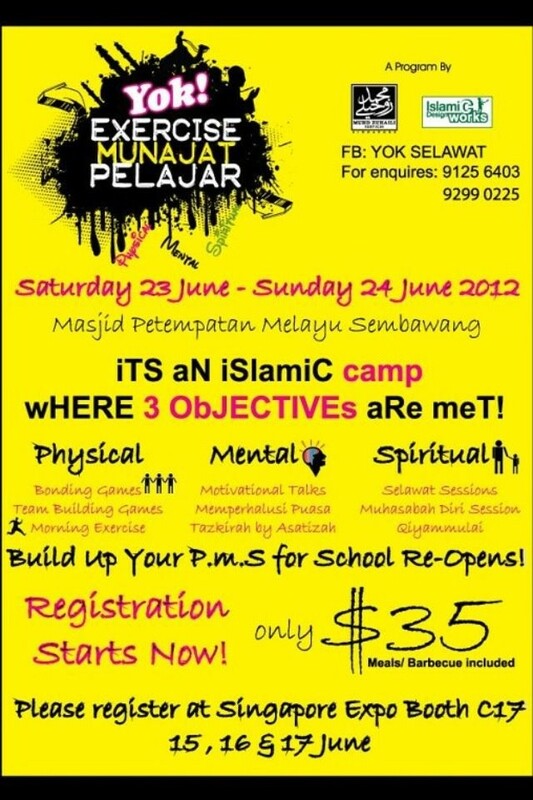 Recharge your mental, physical and spiritual strength before school reopens. There will be motivational talk/ qiyam/ BBQ/ team bonding games/talks about Memperhalusi Puasa and many more! Please register at Singapore Expo Booth C17 (15,16 &17 June)or call us at 91256403 or 92990225 for any enquires. The Prophet (pbuh) said - No one shall enter paradise who has even a particle of arrogance in his heart.